Here are a couple texts for Father’s use. Holy Lord, almighty Father, everlasting God, who willed that your Son, co-eternal and consubstantial with you, come down from heaven and in the fulness of time be made flesh for a time of the blessed Virgin Mary, in order to seek the lost and wayward sheep and carry it on His shoulders to the sheepfold, and to heal the man fallen among robbers of his wounds by pouring in oil and wine; may you bless + and sanctify + this wine which you have vintaged for man’s drink. Let all who taste or drink of it on this holy feastday have health of body and soul; by your grace let it be a solace to the man who is on a journey and bring him safely to his destination; through Christ our Lord. This entry was posted in "How To..." - Practical Notes, Just Too Cool, Liturgy Science Theatre 3000 and tagged Blessing of wine. Bookmark the permalink. 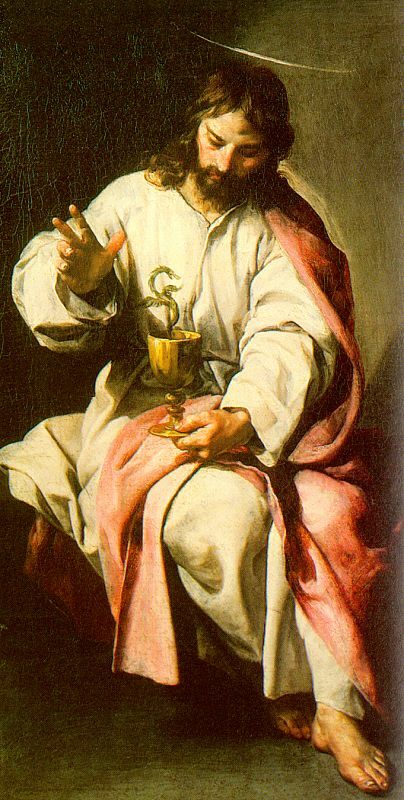 5 Responses to ASK FATHER: Blessing wine on St. John’s Day… or “another beverage”? If sweet red wine of high quality is what my RC friends like, allow me (I’m an Orthodox deacon) to suggest the Kagor “chalice wine” from Russian Chapel Hills Winery in North Carolina. It is an excellent communion wine, made by a pious Christian. He even has a consecrated chapel on the grounds of his winery (hence the name). Orthodox deacons bearing wine is the ecumenism of the new evangelization! I’m suggesting an excellent wine that may be used sacramentally in a chalice, either Roman Catholic or Orthodox. I’m not suggesting we can share that chalice. Blessing wine to dispel evil spirits is redundant, though. After all: in vino Veritas., per Erasmus.